1. HYJB-PC6 Six-phase current with a stdard six-phase voltage while the output can meet all the test requirements of the site. 2. Integration in the host crystal 8.4 inches true color, light weight and easy to carry. 3. Built-in high-speed and high-performance industrial computer embedded operating system, running stable and reliable, also can test by connecting PC. 4. 12 analog ports and other optional auxiliary DC source output (220V/110V). 5. Interface: RJ45 (Ethernet interface), USB interface (software upgrades, reporting transmission), industrial serial interface(GPS or other serial device use). 6. 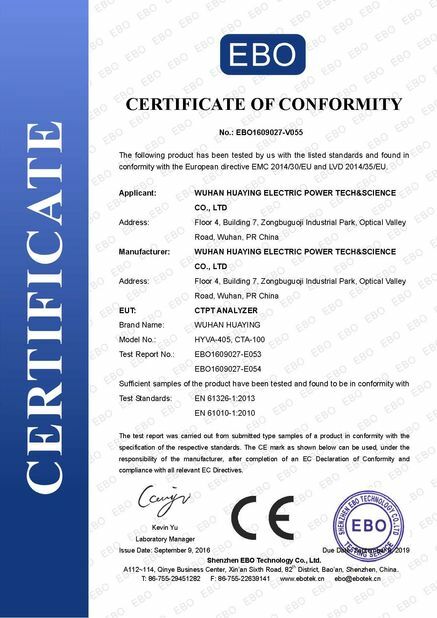 Matching electromagnetic compatibility components, can improve on-site, anti-electromagnetic interference, protection devices can connect the electromagnetic compatibility to test. 1. Completely simultaneous output for standard 12 phases voltage & current and independent adjustment for amplitude, phase and frequency.topping and wave record monitoring for 12 channels closed loop: To carry out stopping, monitoring and wave record for local 12 channels voltage & current output waveform. It can visually and easily monitor the distortion about output waveform. 2. Dual-operation mode: Built-in IPC, support the stand-alone operation and online operation, completely same function with the two way, that’s the real dual-operation mode. High-performance master controller: Adopting the latest super-speed DSP+FPGA platform, it has the advantages of top-speed calculating speed, wide transmission band, output 2400 dots high-precise waveform every week, and with 18 posts converter, high-precise output waveform, low distortion and well linearity. 3. IPC with high speed and large capacity, 10.4" jumbotron: Built-in embedded Windows XP operating system, high-steady software system, large capacity for electronic hard disk, freewill for startup & shutdown, with definitely no system damages. The 10.4" jumbotron has large capacity and typeface, and effects well. Modular structure with compassable components: Adopting military technology, it realized multilevel insulated isolation and iso-electric level electrostatic shielding protection. 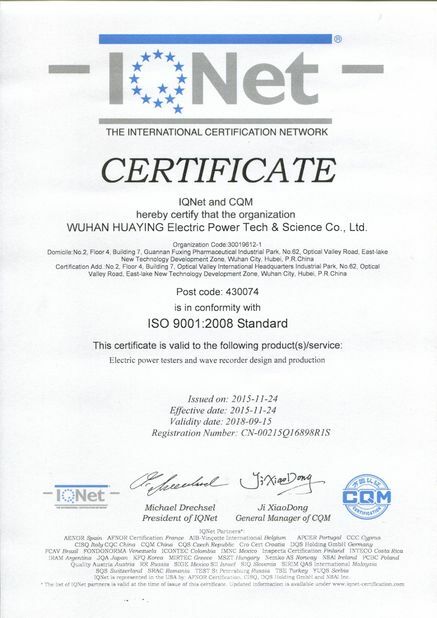 It also adopts abundant precise components and makes specialized structure design. The device has the features of high reliability, well EMC property, small volume, light weight, complete function and it’s easy to take. 4. Brand new high fidelity linear power amplifier: We always insist on adopting high fidelity and reliable modular linear power amplifier to make output. This output is of excellent performance, and has delicate and smooth waveform, high precise small signal. 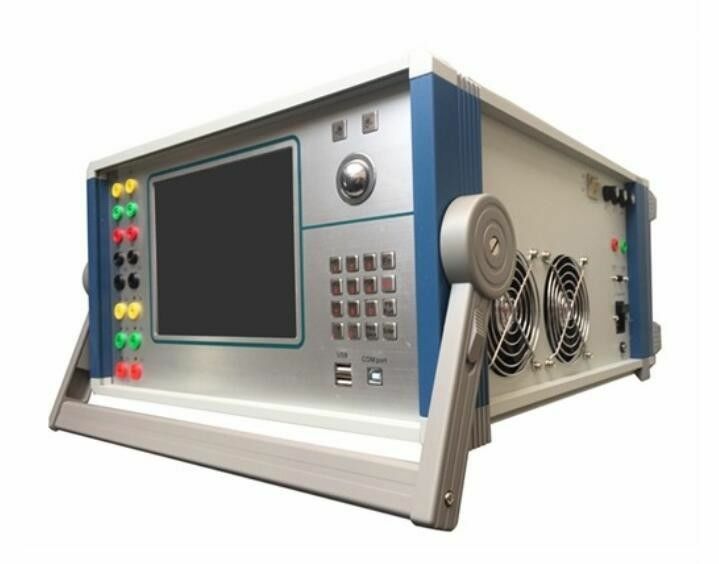 It won’t cause medium-high frequency interference to the testing scene, so as to ensure the smooth waveform and well precision from large current to small current. 5. Powerful functions: It can finish all kinds of large-scale and complicated checkout work with high automatic level. This will be convenient to test and scan various protective definite value, to carry out bug playback, to store testing data in the real time, to display vector diagram and to print report online. 6-phase current can conveniently proceed with 3-phase differential motion protective testing, while 12-phase output can be used in ATS testing. 6. ATS testing and fast cutting functions: 10 routes for binary input while 8 routes for binary output, it can test all kinds of ATS and fast cutting devices. The design of testing interface is beautiful, and it can display every kinds of system wiring diagram, contact state of switches and amplitude of current & voltage. Thus, it can intuitively and conveniently test, record and display the whole action process of ATS equipment. 7. Abundant contacts: 10 routes for contact input while 8 routes for idle contact output. The input contact is compatible for idle contact and 0~250V potential contact. It’s also of intelligent automatic identification function. The input & output contact can expand according to user’s needs. 8. Independent adjustable DC power supply: Equipped with one-route special DC power supply output of high power 110V or 220V. Complete interface: Here are built-in keyboard and mouse on the device faceplate, so users can carry out complete stand-alone operation. Equipped with USB port and internet port, the device can access to PC to operate, and also suits for external printer, keyboard, mouse and USB disk etc. 9. Impeccable self-defense function: Reasonable design with heat dissipation structure, reliable and impeccable hardware protective measures. Equipped with soft start function of power supply, fault self-diagnostic function of software and latching function of output. 10. High integration structure with light &small type: It’s belonging to transdisciplinary joint-design product, synthesized a lot of professional advanced technical achievements. And it has the features of small volume, light weight and high cost performance.